Every holiday it’s the same question: What to get for your loved ones? I can’t (and won’t) help suggest something for your Aunt Margie who loves conspiracy theories. But I can (and will) give you some ideas for the ‘ukulele players in your life. The great news about gifts for ‘ukulele players is that there is a huge spectrum of monetary values. Only got $5 to spare? That’s okay. If you just got a windfall $10k, that’s great too – you won’t have trouble burning it! Here are some ideas that will get you off to the races below $20. People get bent out of shape looking for the perfect strings, but only a very stubborn person isn’t going to appreciate the chance to try a new set. And you never know, it might be their next favorite thing! I recommend brands like: Worth, Southcoast, Living Water, D’addario, and Savarez, to name a few ($4-16). Each has their own flavor. I love this tuner! Tiny and accurate, it’s bright enough to see in the daylight. Pick from two versions that can either live on a headstock ($12) or in a soundhole ($16). The headstock version also includes a built-in metronome and reference pitch shift. A strap helps support the uke while playing. There are several types that help hold the instrument in various ways. I’m a big fan of the non-invasive Mobius Strap design ($20). Otherwise, the uke in question needs to have strap buttons, in which case any guitar strap will work. Ernie Ball makes a classic, cheap, and light one that comes in many color options ($7). There are also high-end leather straps and hand knitted versions you can find on Etsy for a more personalized gift. Instantly change the key of chords you already know. Great for singers and playing with other instruments. It can also help with the understanding of transposing and keys. I’ve used a Kyser banjo capo for over a decade ($20), but there are some slick ‘ukulele-specific options these days like this one from Planet Waves ($14). Often an overlooked accessory, a wall mounted stand can serve dual purposes as a display piece and functional uke holder. Still usually under $20, but pretty oversized for all but extra-large holiday socks! By Brad Bordessa – that’s me! 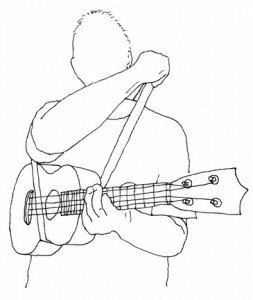 In ‘Ukulele Chord Shapes I explore a seldom-discussed method of approaching the fretboard ($12.99/PDF and $19.99/book). 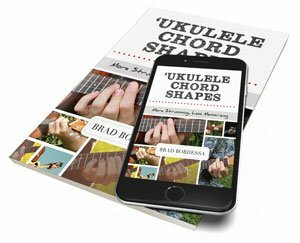 Included are more shapes, easy-to-understand theory, and chord knowledge than you can shake an ‘ukulele at! By Daniel Ward, a year later this is still one of the coolest books on the block. 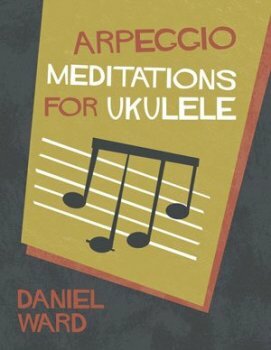 Arpeggio Meditations For Ukulele is a collection of 16 ingenious studies to build hand coordination, strength, and musicianship ($19.99). Daniel has done a fabulous job covering a wide range of skill levels, moods, chord changes, picking patterns and more in this 30-page book. In his latest offering, James Hill takes 15 tunes, sprinkles some arrangement fairy dust, and presents them as complete solo pieces that sound like duets. Duets for One is a very professional piece of publishing from Flea Market Music ($25). It includes tablature and standard notation for re-entrant gCEA ‘ukulele. 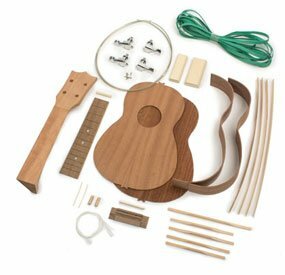 If your favorite ‘ukulele player is the crafty type, perhaps they would appreciate a chance to try their hand at building a uke! This kit from StewMac is one of many available, but contains everything you need to build an instrument from start to finish. Some woodworking experience and tools are probably recommended. All four main sizes available (starting at $75). I’m pretty low-tech when it comes to music, but I find myself using Anytune quite often these days when learning songs on my iPod. It’s fabulous for slowing down the tempo of a recording or even changing the pitch (invaluable for singing the song in “your key” as you learn it). The free version does all that, but Anytune Pro ($15) also gives you advanced EQ options and REFRAME which allows you to isolate instruments based on their place in the mix (how does listening to just the uke without the band sound?). ‘Ukulele lessons are a hard thing to justify spending your own money on. But as a gift you can encourage the structure and discipline of a good teacher. Teachers often work in 4-week chunks of time – a great gift certificate timeframe, depending on cost. Be sure to get referrals and solicit recommendations before you commit. If you can’t find a local teacher, Matt Dahlberg, Aaron Crowell, Phil Doleman, Bryan Tolentino, and others all do lessons via Skype/Facetime. There are also several ‘ukulele courses you can join for a modest access fee. This is mostly unpersonalized, but also much more affordable. Each has its focus and unique presentation. I work for James Hill as an admin for The Ukulele Way, which I feel is one of the best courses available – though I’m probably pretty biased. There’s a community page and great support from myself and the crew (including James) for any of the lesson content or technical troubles you might have. The guys at Ukulele Underground have probably been doing video courses the longest and have a large collection. Probably the most “hip” operation you’ll find with lot of popular songs and flashy techniques. The new kid on the block is Artistworks, in which Craig Chee & Sarah Maisel are the instructors. It has opportunities for video feedback as part of the curriculum. There’s nothing quite like a good Mogami cable. 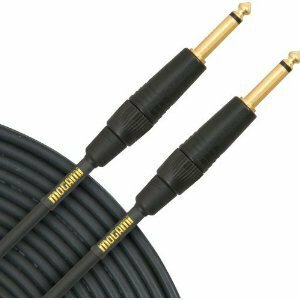 Like having a car that never breaks down, I’ve never had a single issue with any of my Mogami Gold cables over six or more years of gigging. Each is quiet and feels like it will last for many, many years. 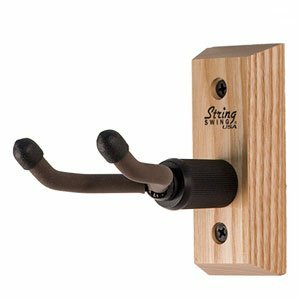 They’re not cheap ($50 for 10′), but with a lifetime warranty you can’t really go wrong. I’ve recorded an album on my own, but capturing easy, setup-free, clear audio is another story. 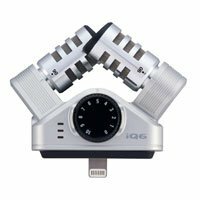 Thankfully, devices like the Zoom iQ6 ($100) exist. Plug it in, open the app, and press record. For the money, this is one of the best plugged-in sounds you can get for your giftee. 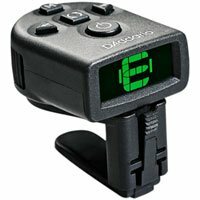 It has two channels – one for a uke and one for a microphone, plus built in chorus and reverb effects that sound great. 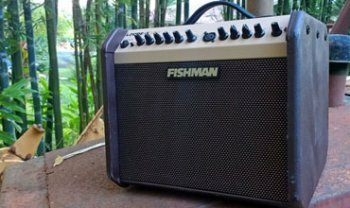 The Fishman Loudbox Mini ($330) is one of my cornerstone pieces of gear. If you really want to go all-out this year, the folks at your local music store would love to send you home with a new uke for your loved one. 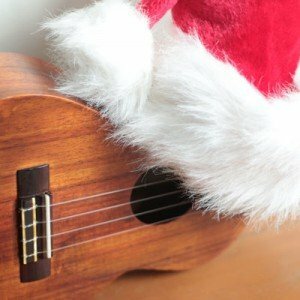 Should accessing a brick and mortar store prove to be a challenge, The Ukulele Site and Mim’s Ukes are highly recommended for ordering online. Though they might be backlogged past Christmas! I have a large list of favorite and most-used gear that will also provide some more ideas. Remember that material things are just material things. The greater gift is human connection, which is what music does best.